Invader recently released his own iPhone app, but it’s a lot more than a glorified eBook or an artist edition rebranding of standard drawing app. Invader’s app is a game that combines video games with real life. 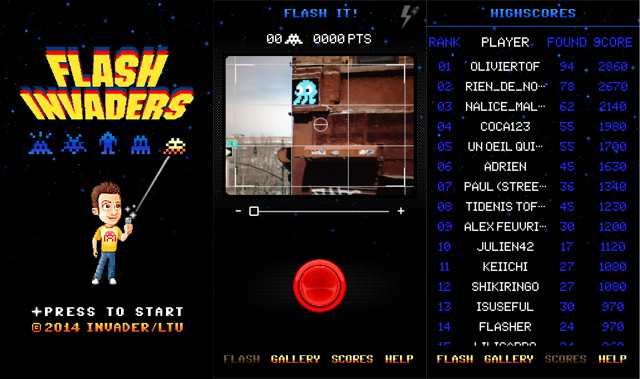 Flash Invaders is played by photographing (“flashing”) actual Invader pieces on the street, for which the players earn points. When players spot an Invader mosaic on the street and flash it, the app compares the player’s photo to a database of pieces to see if it is a match. If it is, the player is awarded a set number of points for that particular piece. Cleverly, the app has been designed to only allow players to flash pieces when their phone’s GPS shows that they are near the piece in question, so you can’t just take all your old Invader photos and flash those for points (trust me, I tried). 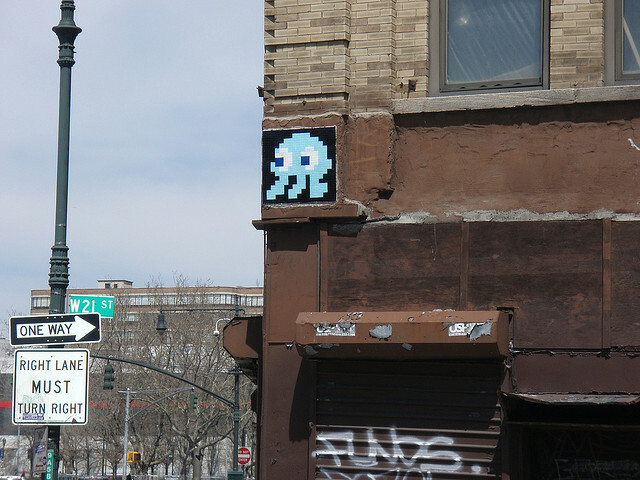 Invader’s work has always been a game in some sense, at least for the artist. He’s spoken about awarding himself points based on the complexity of the pieces he installs, and some of his works have even mentioned their point value. Now, it’s not just Invader playing, but his fans too. I am very excited about this app because A. It’s not quite augmented reality, but it’s close and I could see Invader going in that direction in the future, and B. It’s a way to connect the virtual and the physical. I for one spend way too much time on my smartphone, often to the detriment of paying attention to what is around me, but Invader uses a game on a phone to get people paying attention to their physical surroundings. 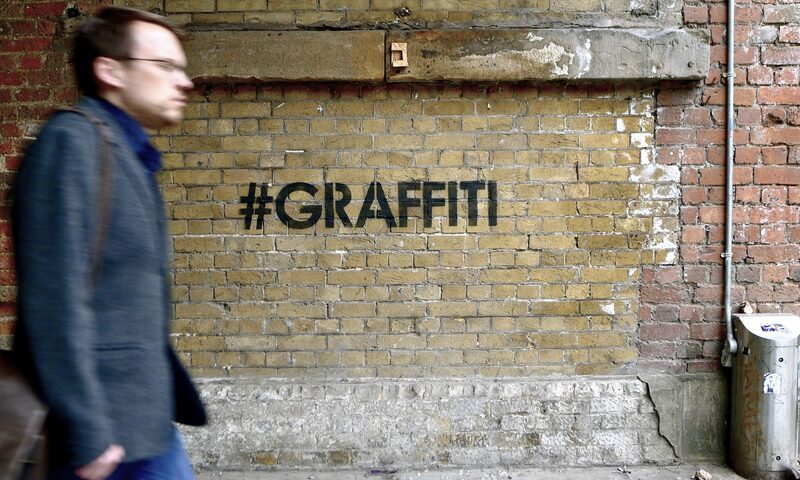 Players might not spend quite as much of their time in public spaces scrolling through other people’s photos of street art on Instagram. Instead, they’ll be keeping their eyes peeled. While I have a lot of respect for him, I’m not one who usually gets overly excited about Invader these days, but the prospect of competing against a group of fans from around the world and hunting down his work has got me falling in love with Invader’s mosaics all over again. Kudos.